The Board of Management does not accept responsibility for children arriving before 8.30am or staying on after home time at 1.40pm. School door will open at 8.30am. Children can be supervised in P.E hall until 8.50am. Regular attendance at school is very important from the beginning. School is obliged to notify Welfare Board if children miss more than 20 days. Parents are asked to avoid taking children on holidays during school time. 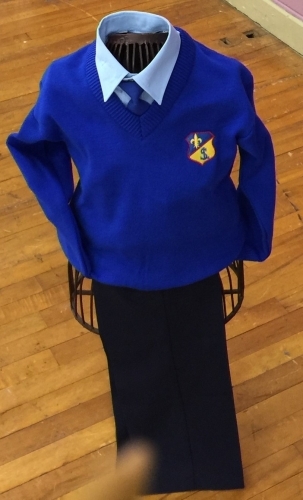 Royal blue jumper or cardigan with school crest, blue blouse or shirt, royal blue tie.Navy tunic or skirt for girls, navy trousers for boys. Navy tights for girls, Black shoes. School tracksuits are royal blue and navy and are worn with runner shoes, twice a week, on P.E. days. [Teacher will notify parents specifying P.E days for each class]. 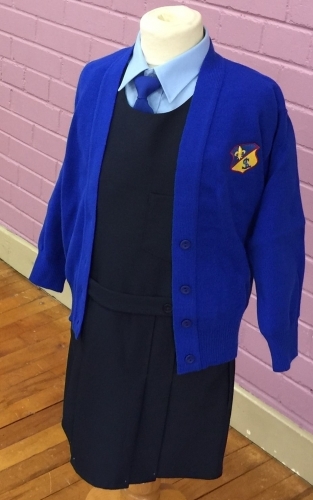 Suppliers of school uniforms and tracksuits in Monaghan are: The Fabric Centre, Park Street. Bags and clothes should be marked with owner’s name. The school cannot be responsible for items lost. This is a Health Promoting School and small healthy lunches are encouraged. Sandwiches, fruit and yogurts are acceptable. No crisps, bars, sweets or fizzy drinks. Parents are asked to observe Traffic Rules when parking. No cars are allowed in school grounds. There is no access to the Infant School from Convent Grounds or playground gate below Girls’ School. Each child will be provided with a blue communication folder. Letters and notes from school to home will be sent in this folder. Please check this folder daily. Notes to school may be sent in this folder. Child has to stay in at playtime. Child has to be excused from some activity. Bus arrangements are being changed. Any child leaving school early must be signed out through Secretary's Office or Principal's Office. The child will be called on the intercom system and no adults are permitted through the school during the day. 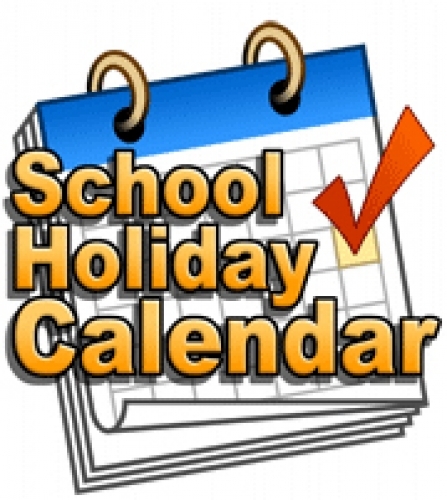 Monday 29th Oct – Friday 2nd Nov.
Thursday 21st February and Friday 22nd February. Monday 15th April - Friday 26th April.